London eye is not only the largest Ferris wheel in Europe; it is also the tallestcantilevered observation wheel as well. 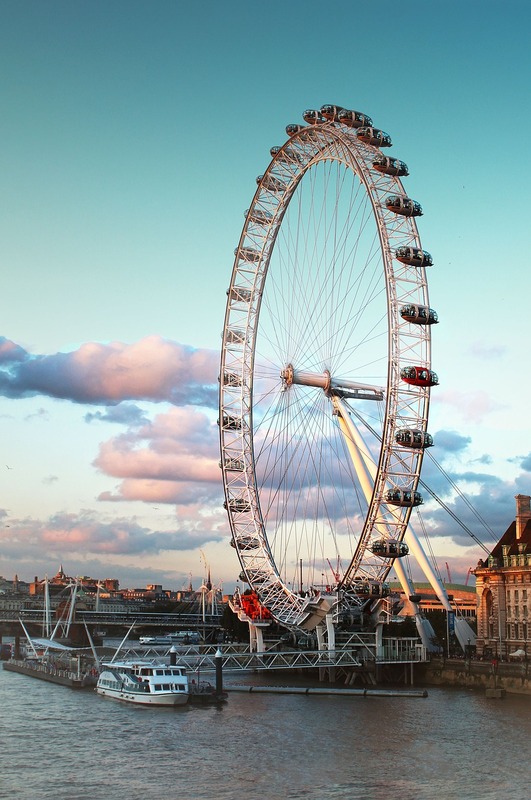 On a clear day, from a London Eye wheel, tourists can see as far as 40 km in all directions. Even the Windsor Castle can be seen from a London eye wheel. The London Eye was inaugurated by Prime Minister Toney Blair on 31 December 1999. But it was opened for general people on March 9, 2000. From the January 2015, it’s called Coca Cola London Eye. But it had many names including the Millennium Wheel, EDF Energy London Eye, Merlin Entertainments London Eye and the British Airways London Eye. London eye was designed by several architects including David Marks, Mark Sparrowhawk and Julia Barfield. The construction of London Eye took 7 years in total. It takes exactly 30 minutes to complete a round of London Eye. The structure is 135 meters in height with a diameter of 120 meters. London Eye has 32 air-conditioned passenger capsules with each having the capacity to carry 25 passengers. So, the London Eye can accommodate 800 passengers at a time for its each 30 minute round. 32 capsules of London eye represent 32 London boroughs. Another incredible fact is that each capsule weighs 10 tonnes. One of the most interesting London Eye Facts is that there is no number 13 capsule and the capsules are numbered 1 to 33. This is believed that is due to superstitious reasons. 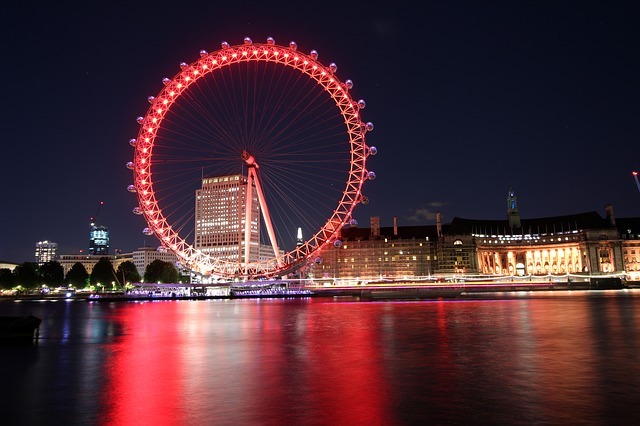 When London eye was established, it was world’s tallest Ferris wheel. It was surpassed by the Star of Nanchang and the Singapore Flyer in 2006 and 2008 respectively. Right now, High Roller of Las Vegas, Nevada is the tallest Ferris wheel in the world. Currently, London Eye is the fourth largest Ferries wheel in the world. Still, interestingly it does not feature among the 20 tallest structures in London. One of the most incredible London eye facts is that around 5 million visitors visit this magnificent London attraction every year. Every year, London Eye gets more visitors than the Taj Mahal or the Great Pyramids of Giza. On the event of wedding of Prince William to Kate Middleton, London Eye was stunningly lit up with the colors of Union Jack. The London Eye is always the focal point of London’s New Year’s firework display. The spindle holding the entire London eye weighs 300 tonnes with a height of 23 meters. The entire London Eye Wheel weight over one million pounds which is in fact over 1000 tonnes. Before London Eye, London had another Wheel known as Great Wheel which was built in 1895 and used until the year 1907. One of the most interesting London Eye facts is that its capsules travel at a leisurely pace of 26cm per second which is double the pace of a tortoise sprinting. So, it’s per hour speed is 0.6 miles. In 1993, Londoners were asked to submit ideas for celebration of new millennium. The husband-and-wife team of David Marks and Julia Barfield won the competition with their idea of current London Eye. But unfortunately the structure could not be opened for general public on time for celebration of the new millennium. Later on March 9, 2000 it was opened for public. London Eye is a popular spot for engagement proposal. Since it opened in 2000, over 5000 people got engaged on it. It costs £360 to book an entire capsule for proposals and engagements. Over 500 wedding took place on London Eye so far as well. These are some of the most notable London eye facts. If you are yet to experience a London Eye ride, you should keep it on your bucket list after learning about these wonderful facts about London eye. Be the first to comment on "20 London Eye Facts You Should Know"